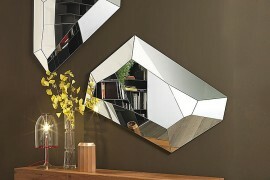 Nothing reflects a stylish home better than a beautiful mirror. 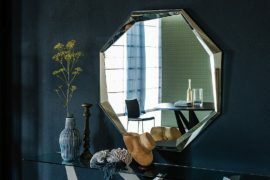 Bringing depth and light into a room, mirrors have a way of transforming a space instantly. Every style can benefit from a well-placed mirror or two- whether contemporary or vintage, shabby chic or glamorous, there’s a DIY project suited to your tastes. 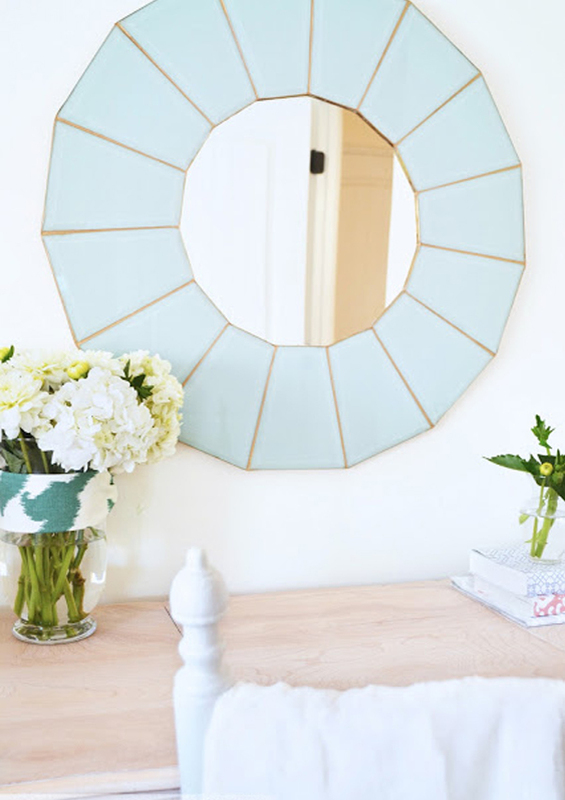 Give your home a quick and effortless update with one of these DIY mirror projects. 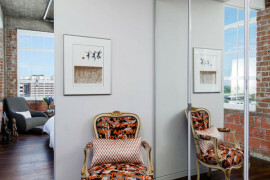 Whether it’s you or your home, mirrors have a way of revealing beauty in the world. 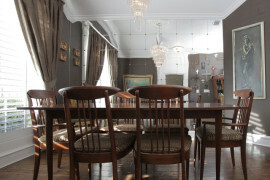 Compliment that reflection with an inspirational quote like the one feature in this project from Dans le Townhouse. Simply spray your frame with your color of choice, then use a stencil to add your favorite saying. 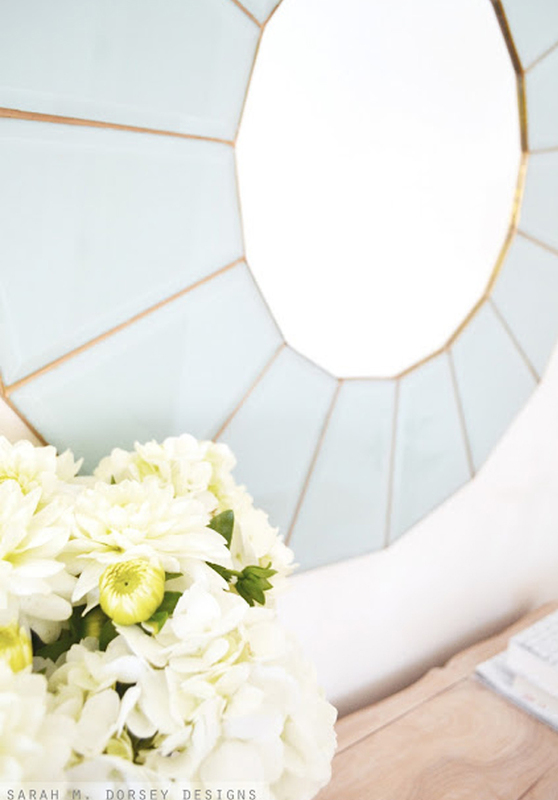 Plastic never looked so chic in this mirror frame makeover from Ramblings from Utopia. 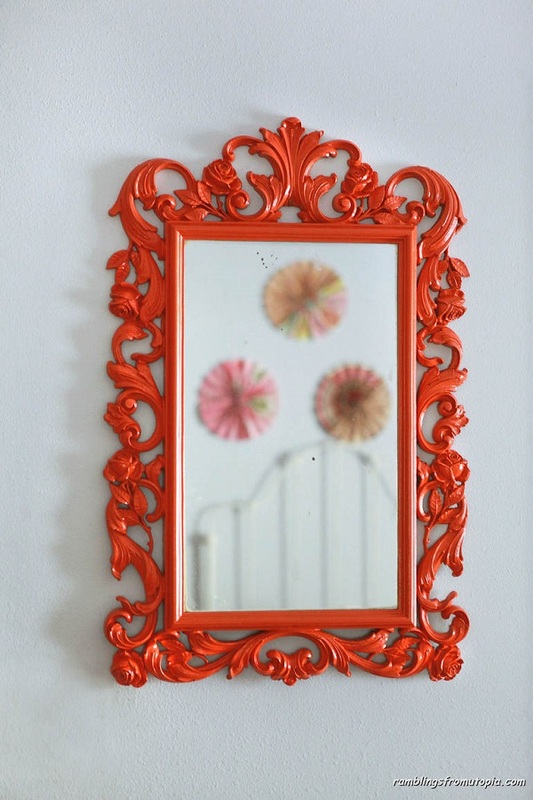 A few coats of tangerine spray paint turned this unremarkable plastic frame into an ornate masterpiece fit for a palace. When painting plastic, lightly sand the surface so it adheres better. 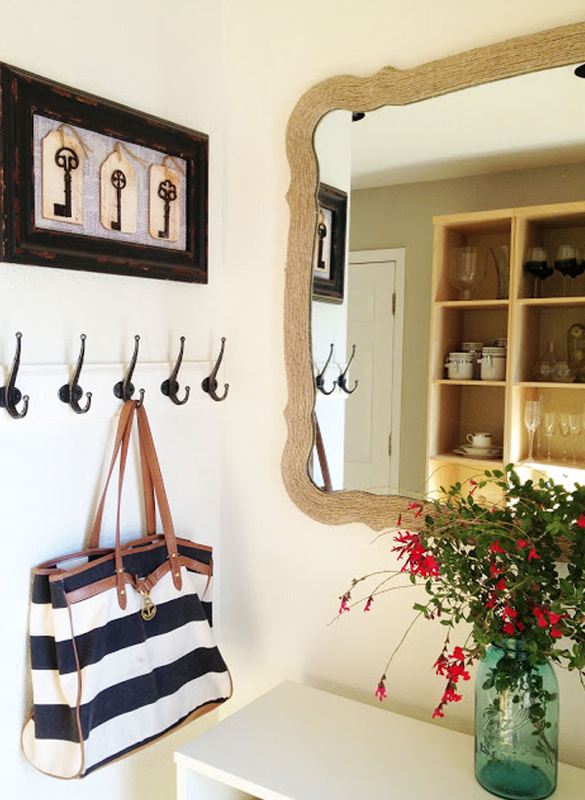 Calling all nautical lovers- this project from The Happy Homebodies is right up your alley! Using hot glue, carefully line your frame with rope or jute from the inside out. 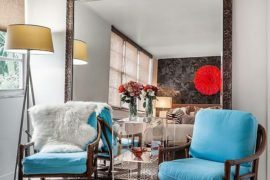 The texture of the material adds visual interest to a space, while the neutral tone works well with any color palette. 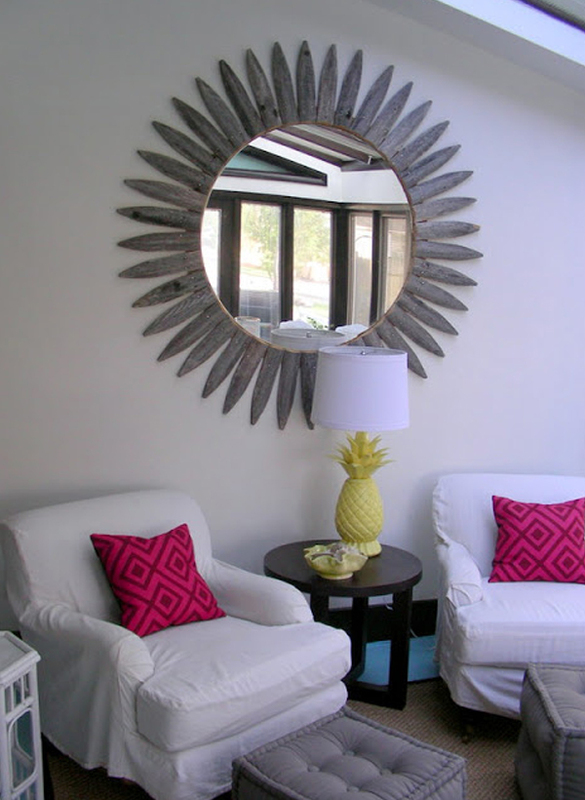 Sunburst mirrors have been a mainstay decor trend for the past few years. This nature-inspired version from HGTV is a fresh take on the popular look. 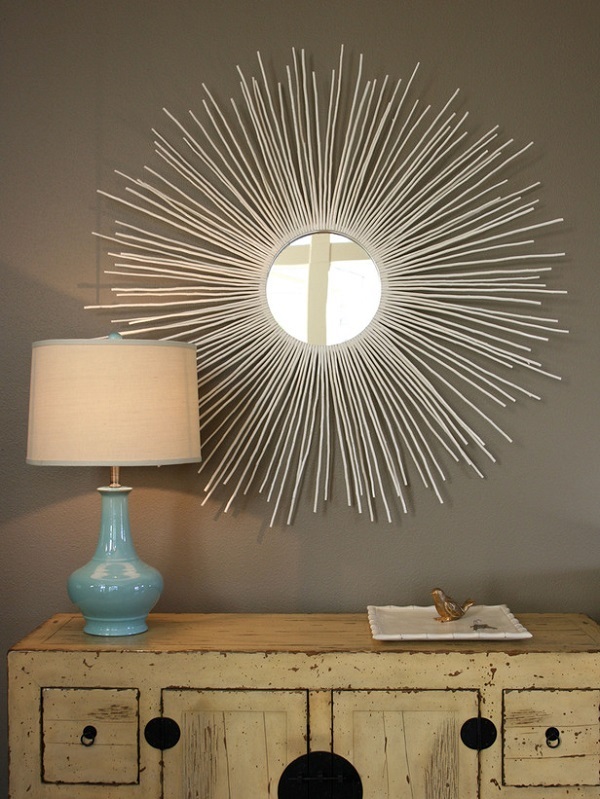 Using twigs of varying lengths, line them along the edge of a circular mirror and secure with hot glue. As a finishing touch, cover it with metallic god or silver paint- the result will be stunning. Decorating your home doesn’t have to cost a lot of money. 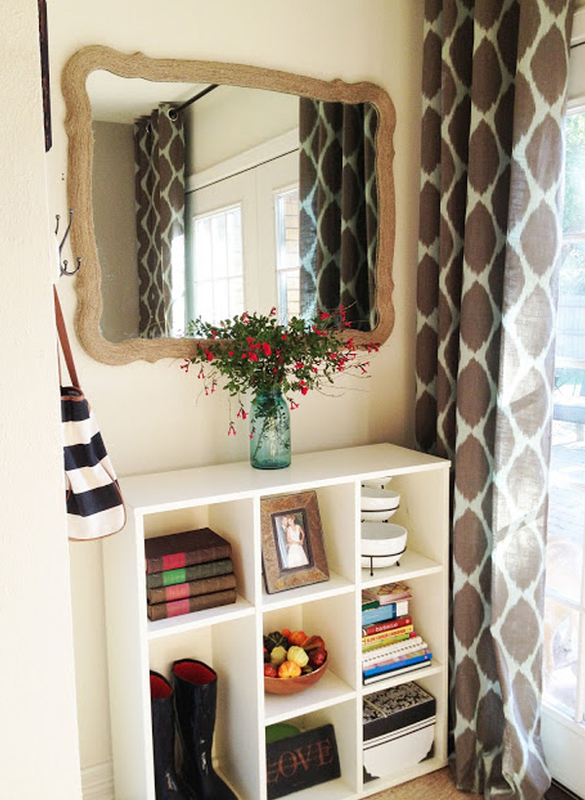 Take a cue from this project from Centsational Girl. 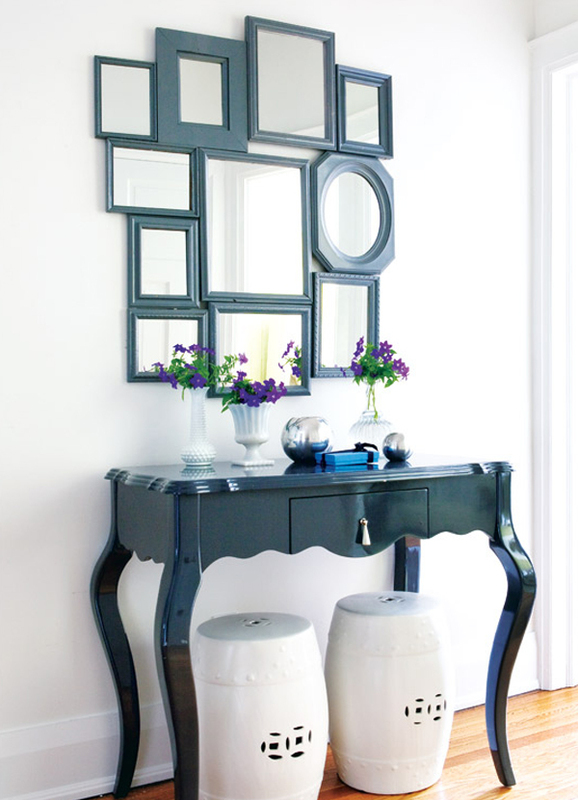 A circular mirror gets a simple but sophisticated face lift with free paint sticks from a hardware store. While paint would be a great addition to this design, the unfinished appearance looks just as chic. 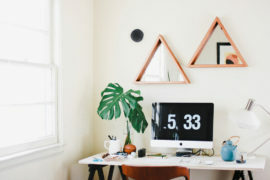 The starburst trend gets a retro twist with this DIY from Thrifty and Chic. 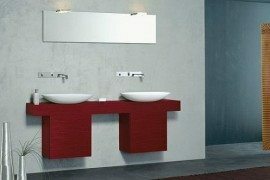 The cedar wood “rays” of the mirror are reminiscent of the signature paneling of the 70’s, but geometric edges give it a modern appeal. 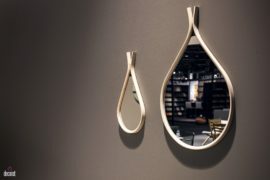 Fit for an art museum, this gallery-style mirror display from Style at Home let’s your creativity shine. Gather 10 to 15 mirrors and arrange them in a cluster. The mismatched frames of this project are eye-catching when next to each other. To ensure your DIY isn’t too busy, stick to frames similar in color or cover with a quick coat of spray paint. 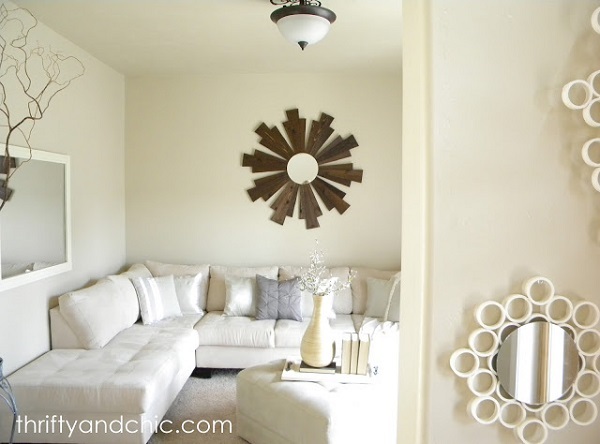 Inexpensive decor can get a posh upgrade with some DIY inspiration. 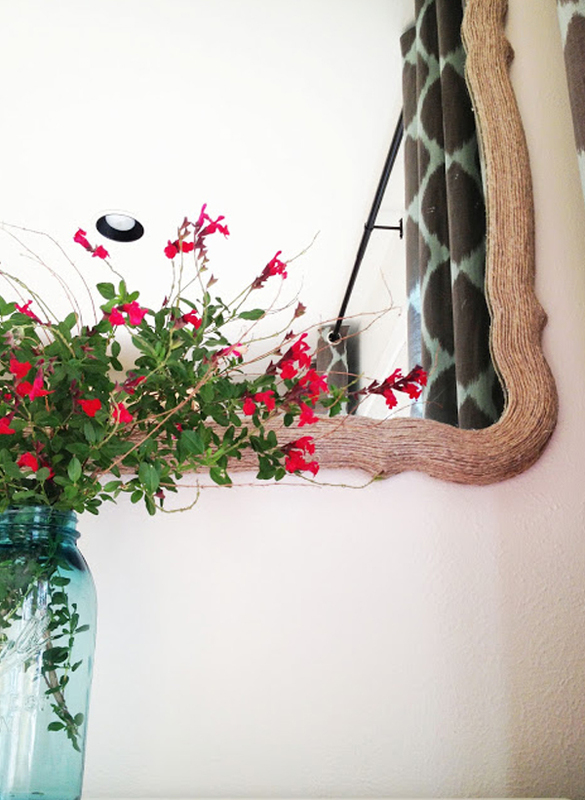 A pair of $5 mirrors become one-of-a-kind accents with this DIY from Lilikoi Joy. 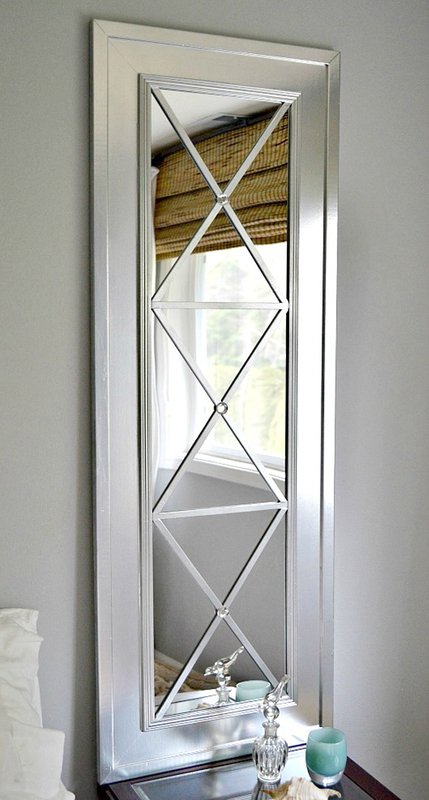 Take your project to a new level with metallic silver paint- it will mimic the look of glass and extend the surface of your mirror. 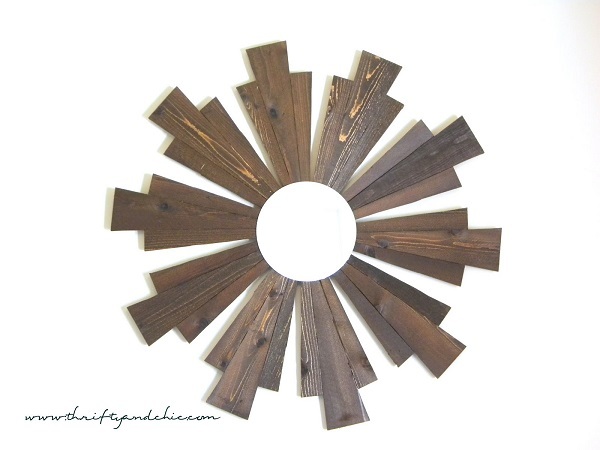 This DIY from Gorgeous Shiny Things is perfect for lovers of repurposed wood. 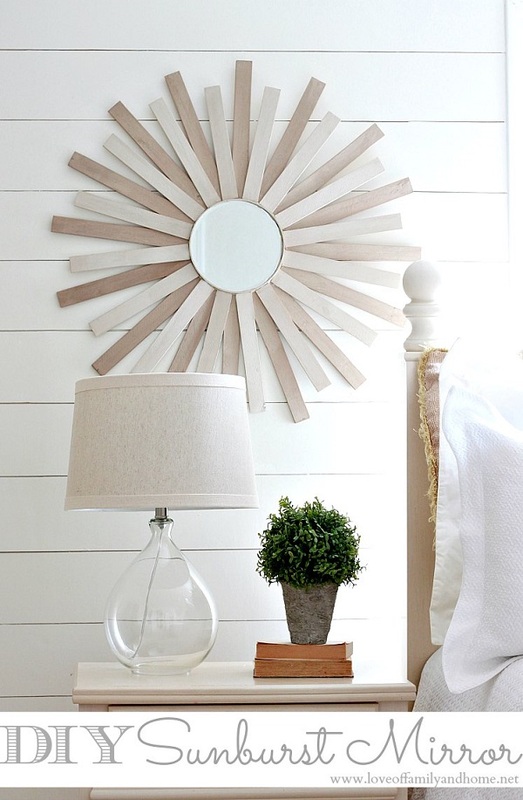 While this mirror recycles fence pickets for its sun-like rays, driftwood would make a great alternative for a beachy space. For a more modern vibe and pop of color, paint it with a neon hue. 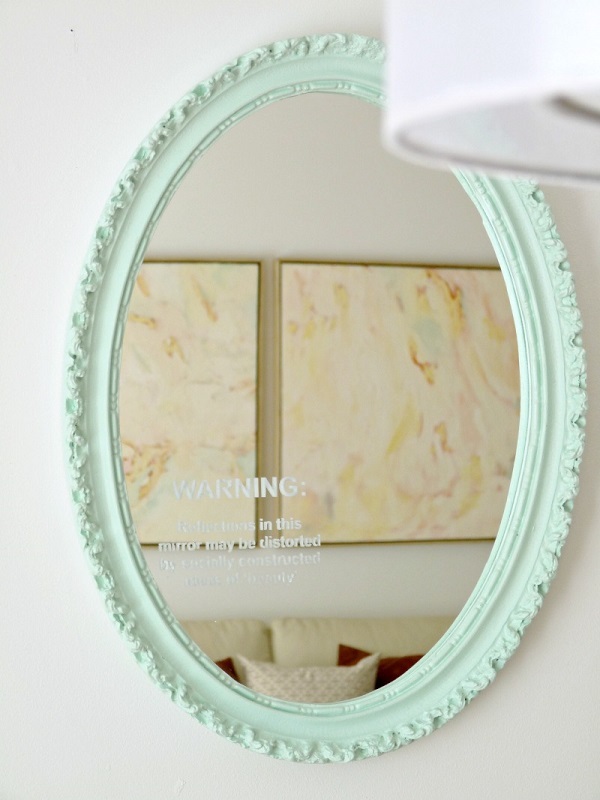 80’s design gets a 21st century update with this mirror from Sarah M. Dorsey Designs. And the inspiration for this glass aqua frame? A chandelier. If you ever run across one of these beauties in a thrift store, grab it- you can use the slanted glass panes for your own mirror. The great thing about mirrors is that they are easy to decorate with. They can act alone as the focal point of a room, or become the perfect compliment to existing decor. They can be budget-friendly, suit any style and are easy to DIY! So what are you waiting for- start planning your own project today! Have an idea in mind? Tell us about it in the comments below.